The weather on Cape Cod has been unbelievable, with temperatures in the 50s and 60s. 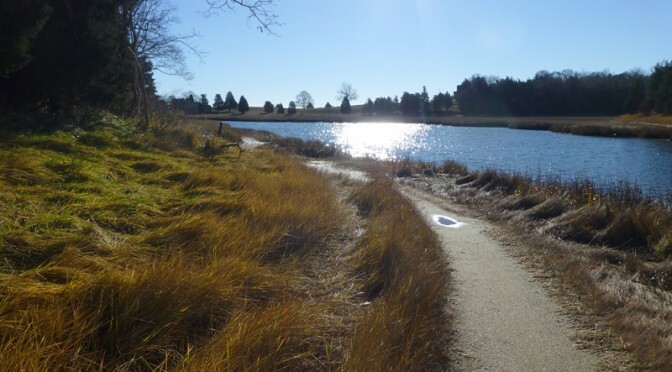 Yesterday was a gorgeous day for a hike on the Salt Marsh Trail around Salt Marsh Pond. The sun was shining and it was glorious! How many days in December can you say you didn’t need to wear a hat or mittens? Wow!